Raising our two children was an incredible time mixed with many adventures and overwhelming joy. I love happy families! That joy and intense love are like the joy we feel when we experience the knowledge of the love God has for us. And even though at times it can seem a bit cloudy with all the day-to-day tasks, it’s real. There is great joy in the relationship, and we haven’t yet seen Him with our natural eyes. We see Him with the eyes of our spirit. We see Him through His Word and others’ encounters, but what will that day be like when we see Him face to face and fall into His arms, or maybe swoon at His feet before we can even get there? He said, “I go to prepare a place for you so that where I am so will you be also.” We prepare parties, food, presents, books to read, vacations, and activities for our children because we want to express our great love for them. What joy we have in the preparation! Jesus is preparing a place for us to make our joy full when we see Him. 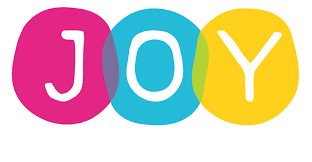 We have joy now, but we haven’t seen anything yet! So if things seem a little rough today, don’t forget the joy of His love and the fuller experience of that joy that is yet to come! Dear Lord, thank You for the place you are preparing for us. We want to thank You for the joy that is waiting for us. In the Name of Jesus, Amen.